Black and white never goes out of style. So, if you want something clean-cut and simple, this could be your card. 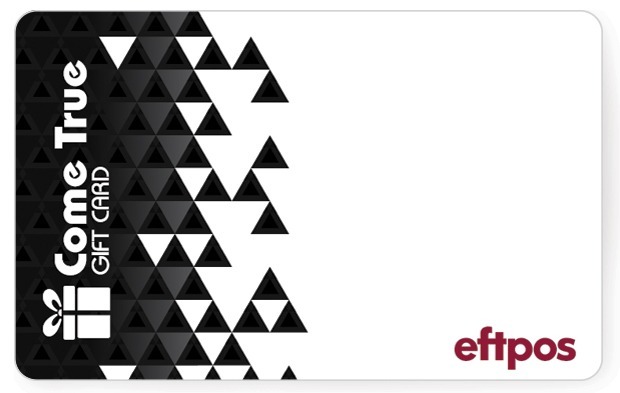 It’s one of our co-branded eftpos gift cards — featuring your brand and ours. The minimalist design allows space for your logo to breathe (and shine). When your recipients are spending their reward, they’ll be looking straight at your own branding, reinforcing their gratitude. The black-and-white design isn’t disruptive to the brand colours of most companies, so you don’t have to worry about clashes. Because of its minimalism and professionalism, this card is a strong candidate for corporate rewards programs.